Al-Ghad Party head Mostafa Moussa Mostafa. Photo Credit; Akhbarak. 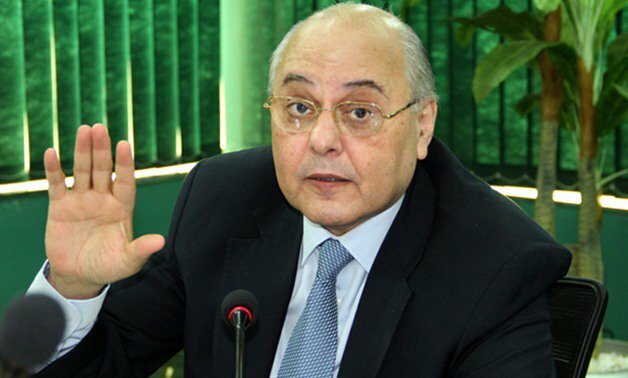 Egyptian politician and chairperson of the al-Ghad Party Mousa Mostafa Mousa submits his presidential candidacy papers minutes before the closure of the candidacy nomination period. The last-minute candidate is the only presidential hopeful to run against sitting president Abdel Fattah al-Sisi, who announced his intention to run for a second term in office on January 19. According to Al-Ahram Arabic news site, Moussa has managed to collect 47,000 endorsements from eligible voters and 26 endorsements from parliament members. In order to run in the elections, presidential hopefuls need to gather at least 20 endorsements from Members of Parliament, or 25,000 endorsements from citizens from at least 15 governorates with a minimum of 1000 endorsements from each one. Mousa stated that although he does support Sisi as president, this does not go against his bid for the presidential office, according to al-Masry al-Youm. He further said that Egypt needs another candidate in order to not hurt the country’s image. Mousa said he will convene a press conference on Monday at 6 p.m. at the al-Ghad Party headquarters where the details of his candidacy and election platform will be announced. The National Elections Authority (NEA) will announce on 31 January the final list of presidential candidates. Earlier on Monday, a number of political figures called for a boycott of the presidential elections, in a statement, due to the absence of a democratic process hours before the end of the presidential candidacy nomination period on 29 January. The statement denounced the legitimacy of the elections citing various repressive practices taken against hopeful candidates. Other candidates who have either withdrawn from the race or been forced by authorities to do so include rights lawyer Khaled Ali, ex-army Chief of Staff Sami Anan, former Prime Minister Ahmed Shafiq, MP and Zamalek sports club head Mortada Mansour, and army colonel Ahmed Konsawa. The presidential elections, scheduled for March 26-28, have been met with heavy criticism from local and international rights groups as well as the United Nations, citing intimidation of opposition supporters, an un-democratic political climate and arrests of candidates intending to run for the presidency. Earlier this week, popular Egyptian talk-show host Lamis al-Hadidi made a fiery speech on her show, criticizing the “absence of politics” in the country while calling for the political environment to be reinvigorated through letting more opinions be heard in the public debate.